Parrots are known to be one of the most entertaining, loyal, and fun-loving pets any person or pet lover can ever have. Through the years, the popularity of parrots—no matter what kind or color they may be—has grown into large quantities. Although the type of parrot—the species and family—is important for a starting owner or breeder, one of the growing preferences among the so many kinds is the color—specifically blue. Blue parrots—or those that bear the shades of blue in their feathers, eyes, or beaks—are one of the favorites among parrot owners especially those that are first-time owners because they look lovely as they grow older and bigger. Why choose a blue parrot? Blue is one of the most popular and favorite colors because it signifies calmness and placidity. In its different shades, blue is always associated with tranquility, relaxation, peace, harmony as well as cleanliness, loyalty, and depression. Among the so many parrots that have a shade of blue color are the Quaker Parrots. Although this specific breed also comes in a variety of colors like green and yellow, the blue ones are quite in demand because they are rare and usually expensive. In pet trades today, blue baby parrots cost around $400 while the pallid blue females are about $600. Quaker pairs in shade of blue or pallid blue (those with dark-eyed cinnamon blue) are sold for $1350 because they are guaranteed to split to pallid male with an unrelated blue pallid female pair and can also produce pallid blue female babies. Single breeder Quakers namely blue females range from $400 while the blue makes parrots that are guaranteed split to red-eyed cinnamon ones cost $800. The blue male parrots that are guaranteed split to pallid male can be bought for $750. The pallid blue females cost $600 while the pallid blue males cost $1250. 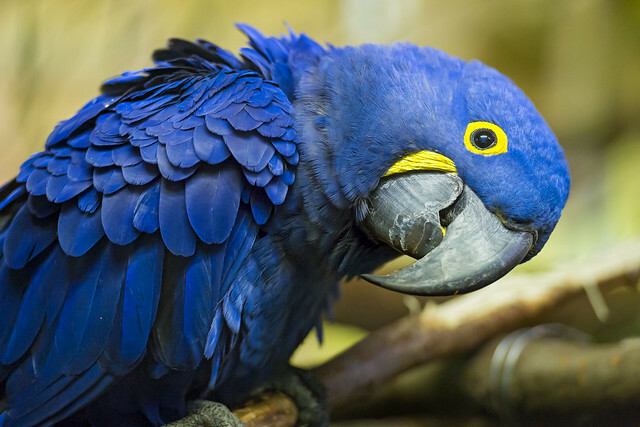 The most popular blue parrot of all times was the Macaw-Glaucous or known as “Blue Macaw.” Originating from Argentina, this blue parrot was known to shy, talkative, social wild bird, and pet. Often mistaken for Lear’s Macaw for having a similar size and build, the Blue Macaw stands out for having different coloration. This blue parrot is quite popular because its feathers are blue and could easily change tones with different shades. Its plumage was a brilliant greenish-blue, the back of its neck has a unique gray-blue color, the head and nape have a bluish-gray color, and the undersides of its wings and tail were black but the topside of the wings exudes a bright sky blue color. Unfortunately, this blue parrot is extinct for less than a century now. If you’re interested to be a parrot color breeder, books that are comprehensive, thoroughly up-to-date, with illustrations are available in the market now.